Six Sigma is a business management and improvement methodology that uses the following constructs to make changes to any process: Defining, Measuring, Analyzing, Improving, and Controlling. Also called DMAIC, Six Sigma measures the capability of a process to perform defect-free work with a minuscule failure rate of 3.4 parts per million, or 99.9997%. Lean Six Sigma combines Lean and Six Sigma methodologies to enhance performance by eliminating waste. You can now get all three of the Lean Six Sigma—Yellow, Black, and Green—Belt Training & Certification courses for just $49.99 (formally $1,200). That's an incredible 95% off retail. Lean Six Sigma Yellow Belt Training & Certification: This is, among so many other things, an entry-level Introduction to Lean Six Sigma. Learn the eight kinds of waste: Time, Inventory, Motion, Waiting, Over-production, Over-processing, Defects, & Skills. Includes the Yellow Belt Certification exam. Lean Six Sigma Black Belt Training & Certification: Learn Project Management via 11 hours of content, three simulated exams, and a full year of e-learning access. Certification exam included. Lean Six Sigma Green Belt Training & Certification: Further your qualifications for lucrative management positions or entrepreneurial activities with 10 hours of content accessible for an entire year. Individuals and companies have paid as much as $1,200 for this course bundle. 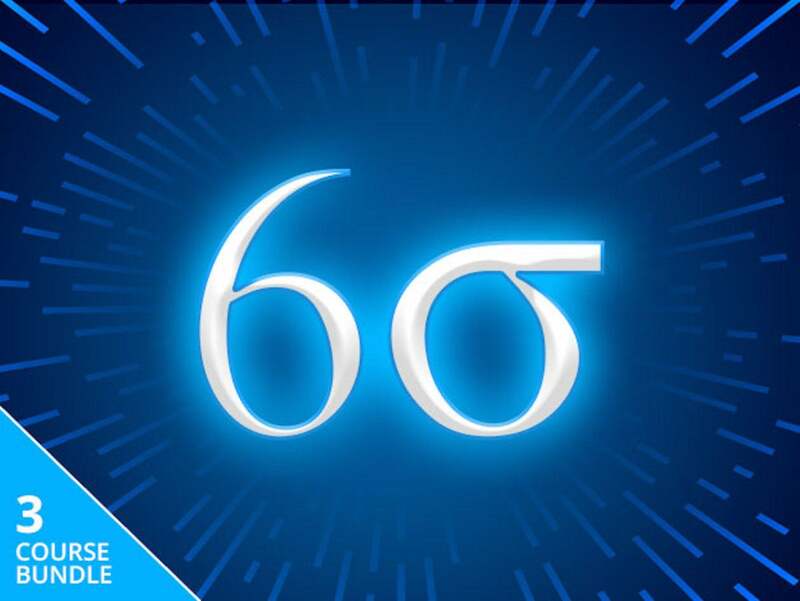 For a limited time, you can get the entire Official Lean Six Sigma Training and Certification Bundle for a mere $49.99, or 95% of retail.